The Burrow has been open 4 years! The Official Opening was in July 2012! 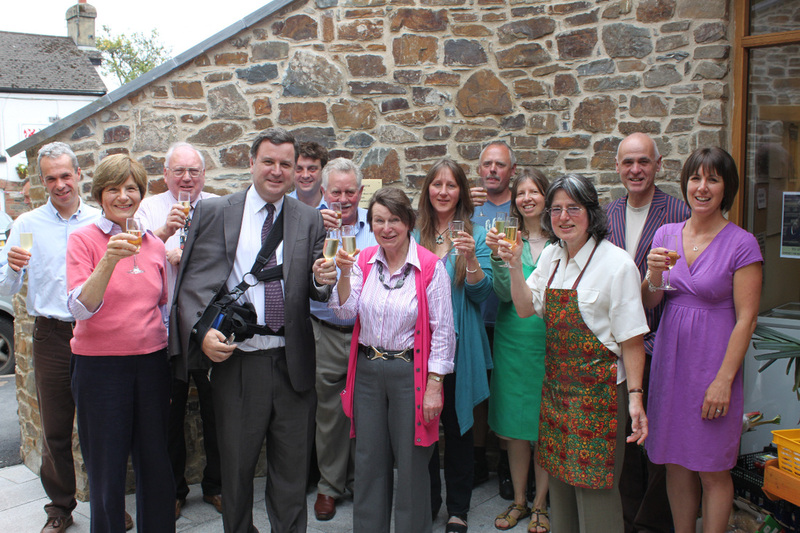 Central Devon Member of Parliament Mel Stride opened The Burrow formally at 11.30 a.m. on Friday, 6th July 2012. There was jazz, free tastings of the local food on sale in the Burrow, food and drink and lots of photographs and fun! Watch out for reports in the local media. Click the button below to find out about how the community shop came about. See how the shop was built click on the Gallery button below.